Well, the week is over and I did one whole workout the entire week. At least it was a leg workout. But my lack of soreness suggests that I didn't push it hard enough. I've had a bit of a crisis-filled week and that interfered with workout time. I took my car in for an oil change. 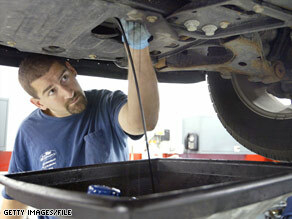 I have spent years underneath my own cars, as well as family-members and hot girls' cars, and I'm a bit tired of changing my own oil. So I took it to a quick-change shop to do it for me. I pulled with with my car doing fine, but in need of fresh oil and maybe a filter. I left with my "Check Engine" lot gleaming at me. I shot a quick U-turn and went back to the shop. I asked them about the "Check Engine" light, seeing as this light had never before turned on that I ever saw and certainly wasn't on when I arrived for my oil change. "Huh, I dunno" the mechanic said, as he poked his head into my car to look at the dash. Then he indicated that he assumed it was on when I arrived. No, it wasn't. They have no idea what they could have done to cause this very alarming and disturbing light to come on, and they have no idea what needs to be done to turn it off. I'm thinking I'm going to go home this weekend and disconnect my battery and then see if the light comes back again. If it does, I've got a problem. If it doesn't, I'll be doing my own oil changes in the future. Aside from this, there hasn't been much excitement. I mean, politically there has. I swear, some days I think the news media is going to drag Herman Cain out into the street and nail him to a cross as a crowd of prostitutes all chant "that's him! That's the man he deflowered me!" But aside from that, nothing of significance has been reported in our news this week. Is that him? Get him! 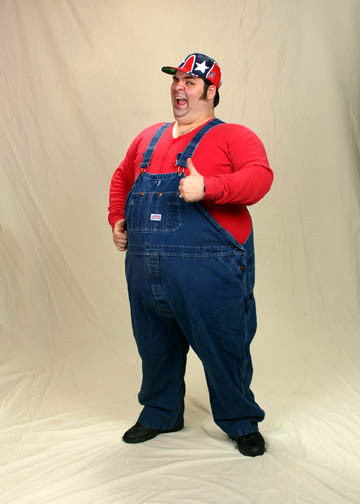 Oh wait, wrong guy. Sorry. In the UK news, though, it was reported that Britain very nearly collapsed and only a quick infusion of American cash saved them. I don't know about you, but to me that is an important enough story that we here in America should have been told about it. Instead we're hearing about fashion faux paus at the latest celebrity award shows that no one watched. Oh, I did watch the 1-hour long Victoria's Secret fashion show on television. Where else can you see so many beautiful women walking around in fancy underwear for a solid hour while reclining in the comfort of your own home? It was awesome. So, how was your week? Any excitement? Invest in an inexpensive diagnostic scan code reader. 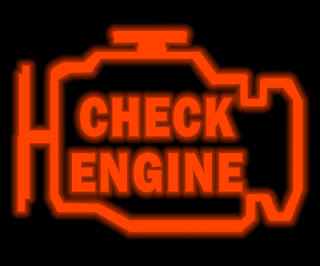 Great piece of mind to know if the CHECK ENGINE light is something serious requiring immediate attention or can wait a bit. A must for any auto geek! Using the same mechanic and keeping a good one, is like finding a good hairdresser or doctor.... you don't want to lose them. In your case, that would be you! Did your "Check Engine" light go away yet? It might be urban legend, but I've always heard that the light goes on for pre-destined reasons (such as hitting a specific milage number) that have nothing to do with the status of your engine. This is done to lure you back to the Dealership's Service Shop. LX, I believe I'm going to have to do that. The irritating thing is that I'll need a different one for each of several cars I own. Ute, that's very true. A good mechanic, good front-end specialist, good transmission guy, good electrician, good plumber, good haircut girl, these are all must-haves with each new city I live in. And they all take time to find. Minxy, I had intended to disconnect my battery and shut off the 'check engine' light over the weekend, but I forgot. I'll have to try to remember to do it tomorrow after work. And it may very well be that this is some pre-progammed hassle that is simply telling me to go have my mechanic verify that I don't need a new camshaft or timing belt or whatever and then he can disconnect my battery and shut it off. I just hate losing all my radio stations. All cars from 1996 onward have the same OBD II interface connector. The scan tool lets you select car type, so you only need to buy one. LX, ah, but there's the rub. This car is older than 1996. It's an OBD I.
OFFS. Get a scanner with OBD I adapters. Mine is an Auto Xray EZ SCAN 6000. It has adapters for the different connectors. XL, now you're talking! I didn't know they had that. Sounds like just what I need!